Kula kaiapuni (Hawaiian language immersion schools) and Pūnana Leo preschools from across Oʻahu came together to share mele aloha ʻāina. 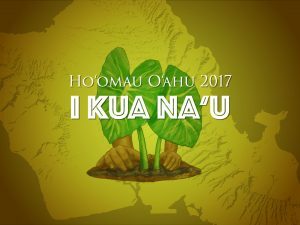 This video features performances by all Pūnana Leo on Oʻahu as well as musical guest Kamakakēhau Fernandez. 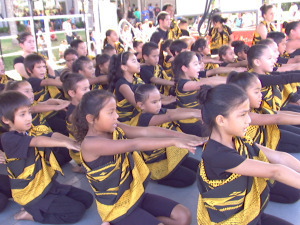 This video features performances by all the kula kaiapuni on Oʻahu. 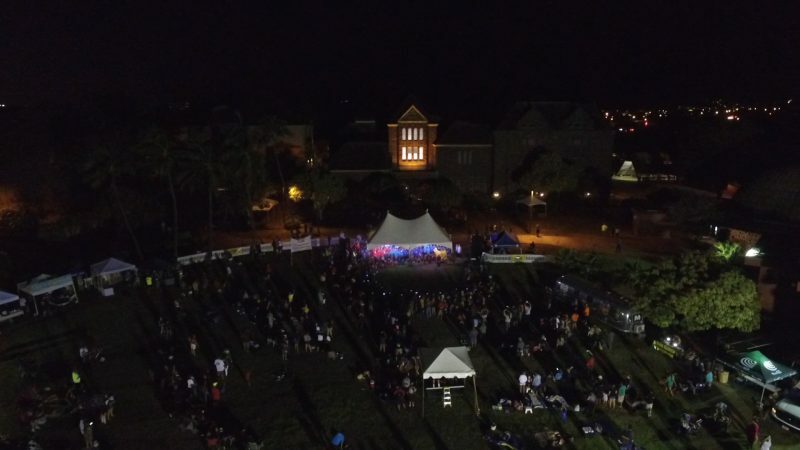 This video features performances by musical guest Nā Wai Hoʻoluʻu o Ke Ānuenue as well as a combined performance by all the kula kaiapuni and Pūnana Leo. I was surprised to learn the show is now a regular event on KGMB. Wow, it is great! Better late than never. And, I learned about Oiwi TV. Yes! Just wanna mention that my grandparents came from Okinawa which was an independent nation that was taken over by a larger power and almost lost its language and culture but is now trying recapture it. So for the very first time this year I am going to the Okinawa Taikai where people from around the world return to their roots. I am excited. It only happens once every 5 years. Carry on the good work…………………..